We’ve seen a wide array of retro computers based on the Raspberry Pi. However, they’re usually creative and/or miniature contraptions that, while interesting, wouldn’t be confused for an actual computer from the late ’70s or early ’80s. Also generally lacking is a full-sized “clicky” mechanical keyboard that you’d also expect from a device of this era. If you’ve been wondering where these full-sized monsters were, then LowBudgetTech has just the thing with the Callisto J-29. 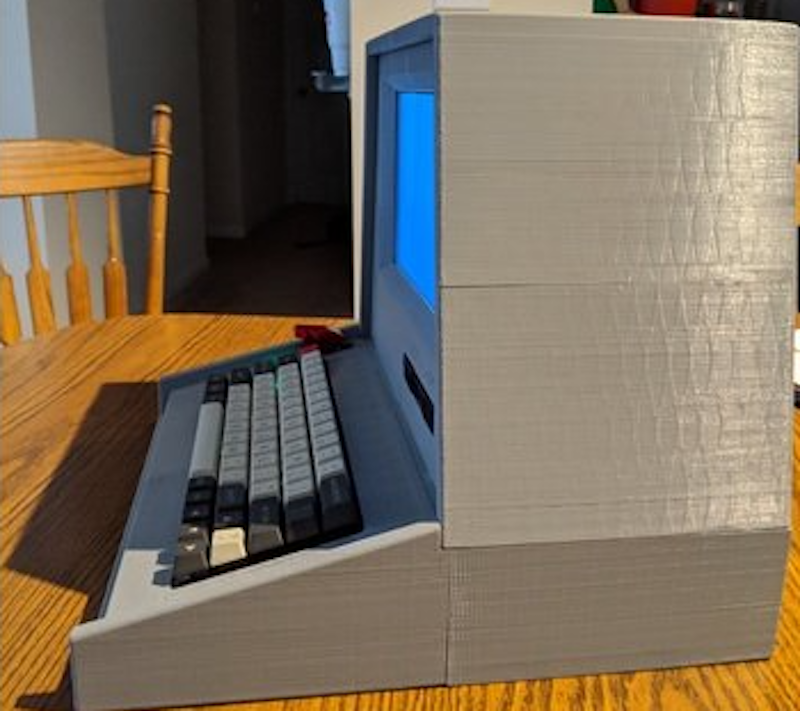 This terminal features a mechanical keyboard with the distinct off-white of older computers; a 10.1-inch monitor; and an actual, working, floppy drive. Everything his housed in a massive 3D-printed geometric structure that resembles a terminal from Fallout. While print files are available, actually printing this beast is a massive undertaking. It requires tworolls of filament to construct, and quite a bit of after-print work to glue everything together. Inside, a Raspbery Pi 3 B+ runs the device, and with a decent monitor and full-sized keyboard, it could even be practical. Perhaps it could be used as a home automation or media terminal, or to examine and consolidate that box of disks that’s taking up space in a drawer somewhere! 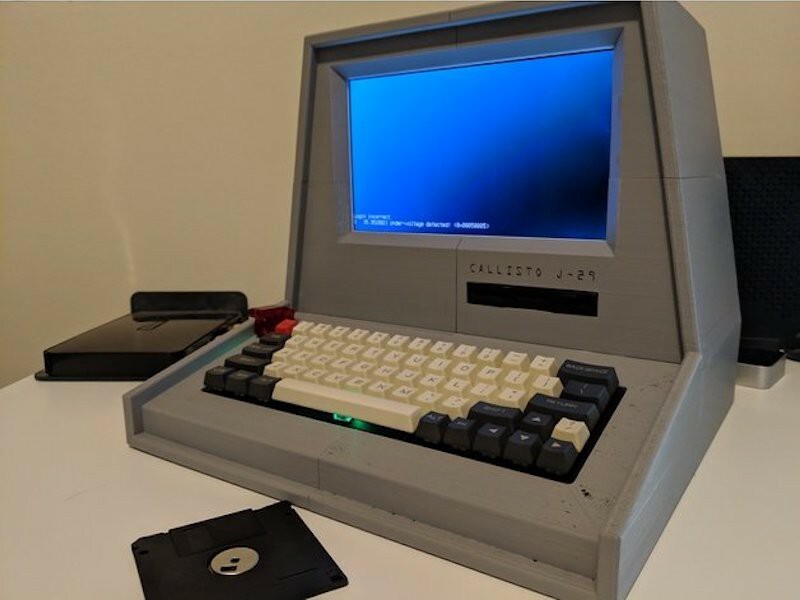 A Full-Sized, Fallout-Style RPi Terminal was originally published in Hackster Blog on Medium, where people are continuing the conversation by highlighting and responding to this story.